War Thunder already has ground, naval and aerial vehicles, so all that’s left is ground troops for it to become a proper war simulator. While it’s doubtful it’ll become an FPS any time soon, the teaser above suggest infantry will be arriving in some form. Maybe. Possibly. 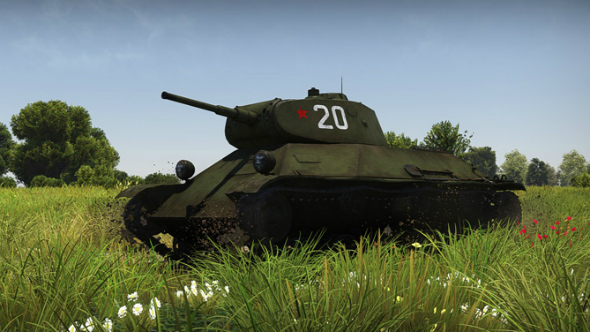 Check our list of the best free PC games for more like War Thunder. What would work, is something akin to Dota’s creeps, with infantry controlled by AI, forcing tanks to stick with them as they capture a point. It’d stop people making mad rushes to the capture points, at least. It would also open the game up more tactically. You could have massive people carrier planes that drop off paratroopers. You could carry a squad of soldiers to a point in an NPC. Planes would have to be prioritised as targets, forcing people to use AA guns. Tank machine guns would actually get used. That’s the dream, really, but the teaser embedded above doesn’t tell us much, and the site linked just takes you to a countdown clock for three-days’ time. The addition of infantry would probably impact the age rating. We’ll let you know once there’s more information.